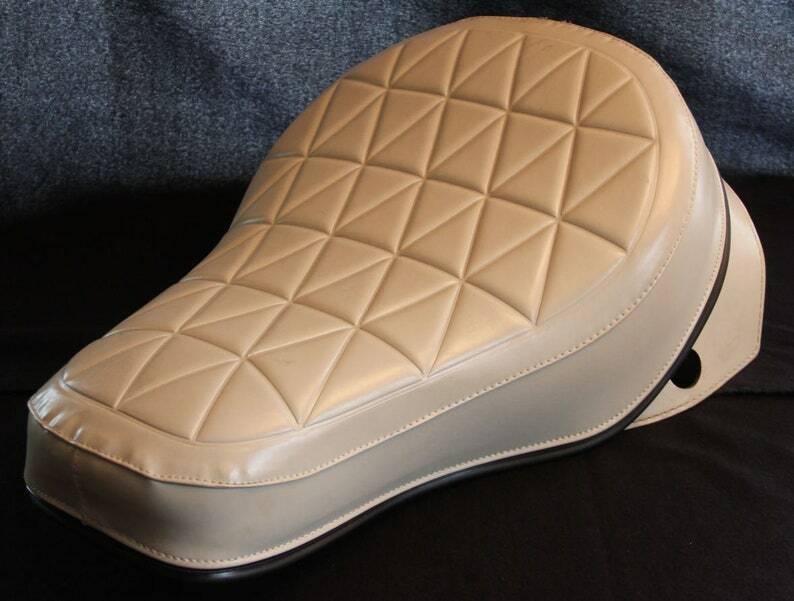 New Old Stock (NOS) Harley-Davidson "Buddy" seat. Has never been mounted on a motorcycle! This could be used for a motorcycle restoration, if a person so choose, but in this condition it makes for a great conversation piece as wall art in the garage too. Great for any antique motorcycle novelty collection. This has a date code of 1976 on the bottom, and was likely used on Harleys in the late 70's. The under side is in excellent shape and apparently has never been mounted on a motorcycle, due to the fact that mounting bolts still have black coating on the threads. The stitching is still immaculate all over the seat too! The only obvious flaws are some light colored scuff marks on top the seat, of which considering it's white in color, should be expected for its age. I've included a couple pics, but these really don't deter much from the seat, and might be able to be rubbed out. Highly collectible item for a Harley-Davidson restoration or any enthusiast.